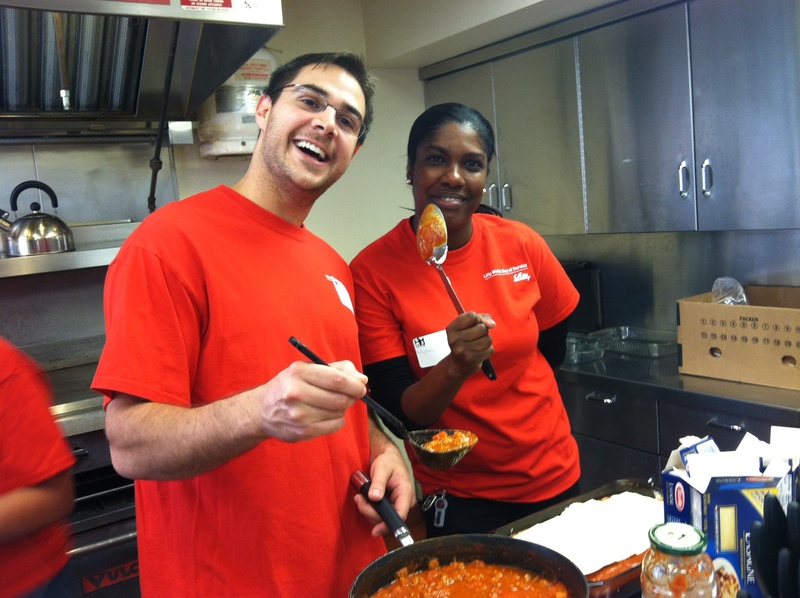 What did the macaroni say to the tomato? Don’t get saucy with me! 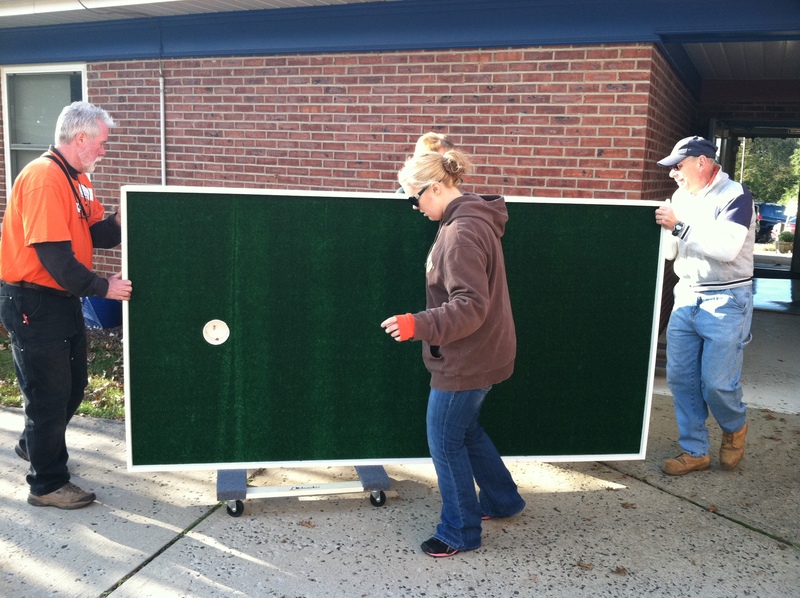 This Medical Center in Peapack, NJ scored a hole in one by having great Home Depot Volunteers create an adapted mini golf course to be used for physical and occupational therapy. 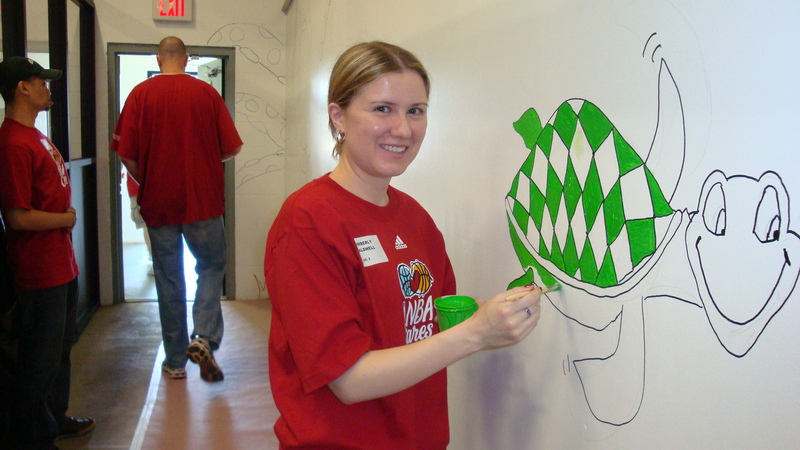 This NBA Volunteer certainly got this mural out of its shell! Why shouldn’t you tell secrets on a farm? Because the corn has ears and the potatoes have eyes! 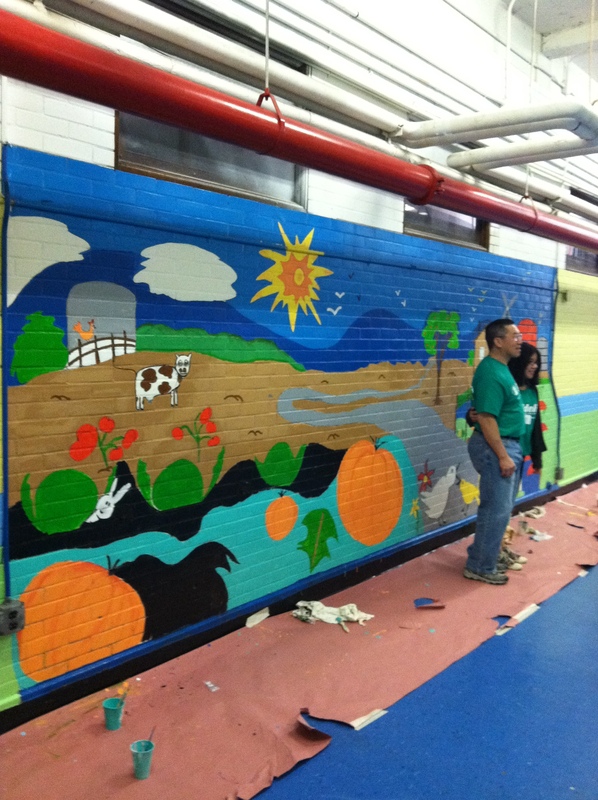 Check out this brand gnu farm mural Fidelity Volunteers painted in a Jersey City School. They sure can produce! 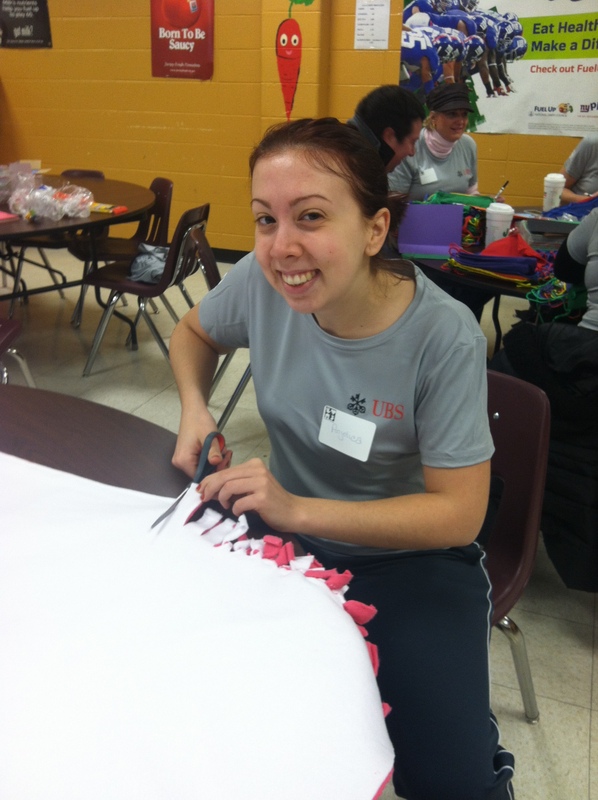 If you wanted to exercise yesterday but it just didn’t work out, then take a look at this talented volunteer! 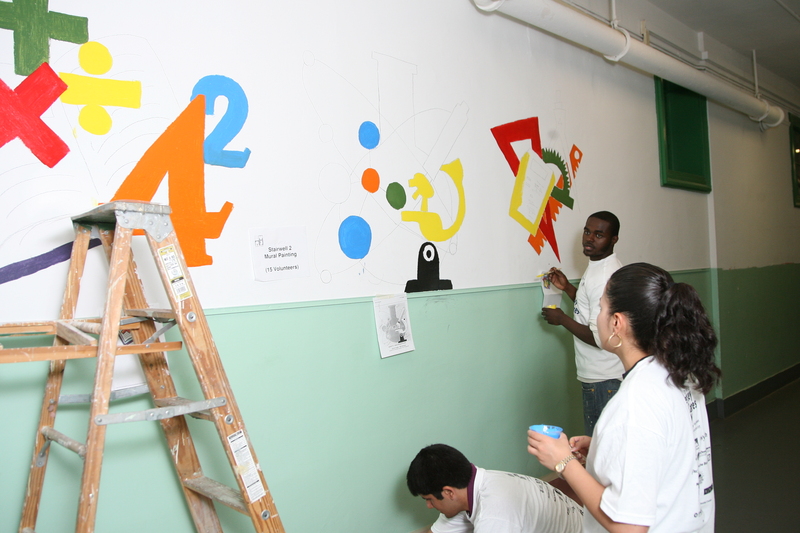 These Jersey Cares Day volunteers aren’t square but they did hit a right angle by doing a fabulous job on this mural!